First things first: why the emphasis and hype on organic baby products? The answer is straightforward. 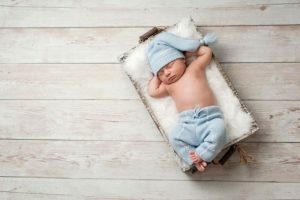 As infants, children are blank slates: extremely susceptible to feeling the effects of their environments, especially regarding what they put into their bodies. Building the foundation for a healthy life starts right away, and this becomes even more important as we move forward into the toddler years – where tastes and habits begin to solidify. Because the effects of chemicals in plastics and other household goods are just now starting to be understood, many of us have likely already been exposed to an unsettling amount of toxic chemicals. Who can even guess the amount of damage this did? Luckily, we know better now, and organic baby products of the modern age are free of BPA, PVC, phthalates, lead, and melamine – allowing us to not only feed our children properly, but to control and restrict toxins throughout their entire youth. If you sometimes feel overwhelmed when thinking about organic baby products, you’re not alone. As “organic” has become an everyday buzzword that marketers capitalize on, it is sometimes difficult to grasp what that truly means. Many companies are incredibly vague, but when it comes to organic baby products you want dishware products made from quality food-grade, Type 304,18/8 stainless steel that is BPA free, naturally anti-bacterial, and doesn’t hold chemicals from processes like cleaning or disinfecting. This simple tweak in your baby or toddler’s eating regimen could mean vastly less exposure to chemicals on a daily basis, setting them up for a clean lifestyle going forward. It’s important to remember that some organic baby products could still incorporate materials that are unsafe once heated, stored, or served despite the great lengths you have gone to in making sure that all food you serve is organic, clean, and healthy. In order to ensure top quality, make sure any plastics you do end up using are free of bisphenol-A, polyvinyl chloride, and other chemicals that are commonly used in the manufacturing of PVC pipes, DVDs, and CDs – hardly what we want our infants and toddlers eating their every meal from. The choices we make for our children as infants and toddlers build the foundation for the rest of their lives. Our little ones simply cannot make these decisions for themselves, and so handling them becomes our responsibility as parents. Organic baby products are a wonderful innovation, but they are only a starting point. When all is said and done, parents need to form trust with a company they can rely on to aid them in providing kids the building blocks to a healthy childhood and adult life. To find out more about how Kangovou can be this trusted partner for you, or to learn more about our organic baby products for infants and toddlers, click here to visit our online store.